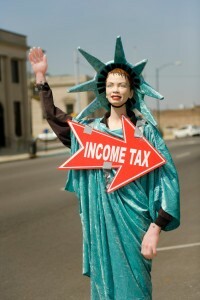 A few weeks back, I attended a presentation for people interested in becoming Liberty Tax franchisees. A friend was thinking about the franchise, and he convinced me to tag along. He wanted a wingman. 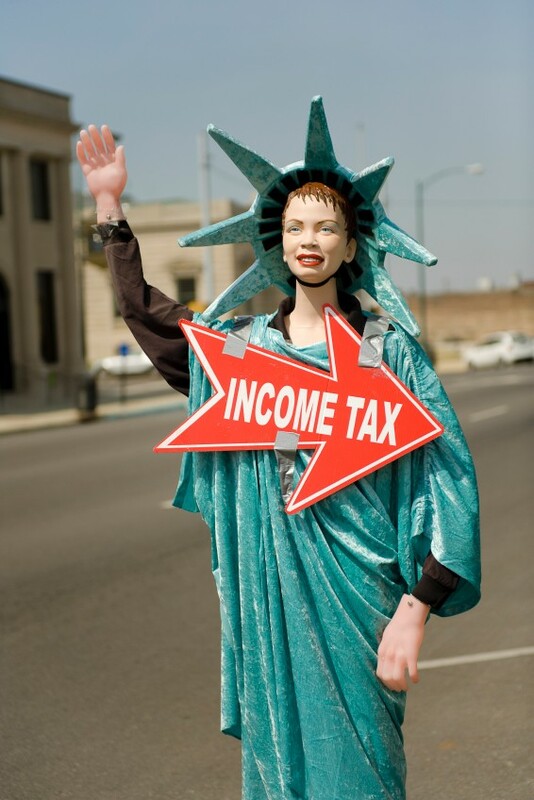 Over the days that followed the presentation by the Liberty Tax folks, I’ve pondered some of the stuff that seemed really impressive about their franchise model—and then some stuff that seemed, well, problematic too. So I’m going to share my thoughts in two posts. In this first post, I’m going to point out what I see as the three biggest advantages or positives to a franchise model like Liberty Tax’s. In the next post, I’m going to highlight three negatives people interested in a franchise-type opportunity need to be alert to. The first thing that jumps out at you if you look closely at a franchise model? Well, if you understand the industry in which the franchisor and franchisees operate, you see that these guys do a way better job of designing profitable products and services than their non-franchise competitors. Now you need to take what I’m about to share with grain a salt. And I’m going to round the numbers a bit anyway to make this discussion easier to understand. But essentially the gross profit margins enjoyed by Liberty Tax franchisees work like this. A typical tax return might cost $300. But that return requires maybe an hour or less of a $20-an-hour employee. Some taxpayer walks in, waits, sits for a half an hour with a return preparer, then pays, electronically files, and walks out. Here’s what’s remarkable about this process. This efficiency and the pricing means that before paying the franchise fee, the franchisee earns about $280 of gross margin on the $300 product. That’s nearly an 95% gross profit margin. Wow. Note: Remember that the owner still needs to pay all the other overhead costs of running the business, including rent, franchise royalties, furniture and equipment, utilities and advertising… and that only the amount leftover after all of this stuff becomes profit to the owner. I don’t want to go off on a tangent and talk about gross profit margins on the products and services a CPA firm delivers. But I do not think most small CPA firms (which are sort of comparable to a successful retail tax preparation franchise) enjoy margins anywhere close to this. In fact, I would guess an apples-to-apples accounting would show our gross profit margins are closer to 40%. We deliver a different and more customized product with many more hours of much more costly labor baked into the return. To their great credit, however, Liberty Tax and the other national tax preparation firms, too, have designed a simple, fast process that employs modestly paid seasonable employees to do the lion’s share of rather standardized, cookie-cutter work. It’s brilliant. You know something else that really stood out in the Liberty Tax presentation to prospective franchisees? The franchisor has truly developed a best-practices approach to running a retail tax-preparation office. No, I really mean it. The franchisor has, through experience and experimentation, collected and codified systems and procedures that optimize results. 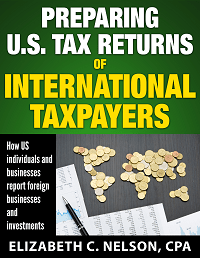 Furthermore, these systems and procedures appropriately support the franchise strategy of preparing tax returns for low- and middle-income taxpayers. A quick example of such a procedure… So a big problem with any tax-preparation business is recruiting quality staff and getting them trained. But you know what Liberty does to solve both challenges? Liberty flip-flopped the steps. They offer a free tax class to train people, and then they recruit the best students from their classes. And this isn’t the only clever system or procedure they’ve developed. Probably they’ve got dozens of such tactics. 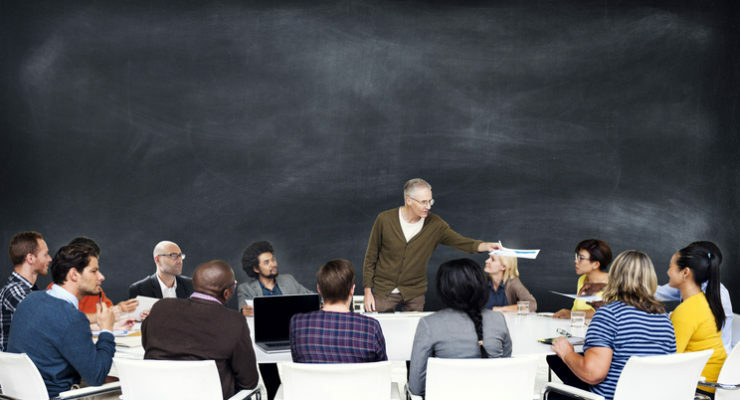 Franchisees who follow these tactics should find their operation running more smoothly and more efficiently and with fewer problems. Clever, right? Let me quickly mention one other positive that Liberty Tax indirectly highlighted in their presentation. A franchisor such as Liberty Tax can, and actually does, use its big data resources to help franchisees better manage their operations. And let me give you the most obvious example of this from the presentation. During one session, David Tarr, the Liberty director of franchise development, mentioned a couple of things. First, that most of the profits and a huge chunk of the business occur over a roughly three-and-a-half-week period of time that starts when employees receive their W-2s. So that’s pretty interesting. For example, if you’re a new franchiser and you tell Liberty that you did three returns a day on the Monday, Tuesday and Wednesday of the third week in January, they can apparently accurately estimate that you’ll do, like, twenty returns a day for the first half of February. That’s not just a parlor magic trick. That’s forecasting ability. Big data from thousands of similar retail tax-preparation offices and millions of tax returns let them help you appropriately plan. Wow. That is cool. And a huge advantage for the small-business owners and entrepreneurs using their franchise program. It’s beautiful. First, even if you and I don’t ever want to have anything to do with a franchise business, we want to emulate them when it comes to their smart design of profitable products and their obsessive approach to identifying and implementing best practices. We small-business folks can admit this, right? We all need to be more like the franchisors in these areas. And a final caveat to wrap up this post. If you are seriously considering investing in a franchise, you want to understand that the positives described in this blog post are not the entire story. The franchise model also comes with some negatives, something I’ll describe in my next post about the Liberty Tax business model. Are You a Small-Business Owner Looking to Reduce Taxes? 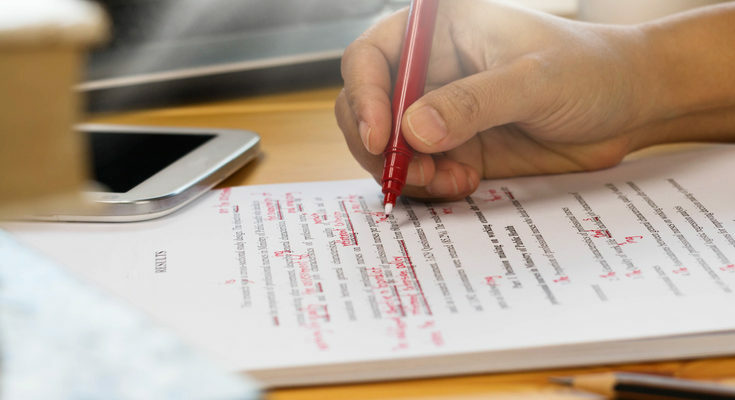 Small business owners often don’t do a good job with maximizing their legitimate tax deductions—with structuring their operations to protect legitimate deductions, with creating new deductions and with recycling (or double-deducting) the deductions which can be used more than once. Which is too bad. Getting organized in these areas can save business owners a bundle. 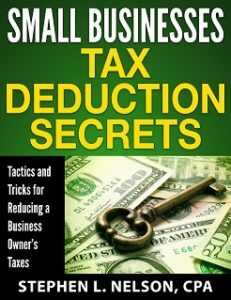 If after hearing this, you’re thinking maybe you can do a better job with your tax deductions, consider downloading our $40 ebook, Small Businesses Tax Deduction Secrets. 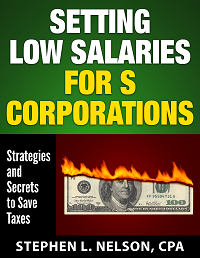 This 70-page ebook provides detailed instructions about how you can annually save thousands of dollars in income and related taxes simply by more effectively using legitimate small business tax deductions. Interested in more information? Click here. 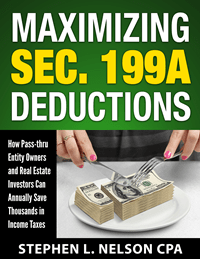 Tip: If you are a client of our CPA firm, don’t purchase this ebook—or any of our other ebooks. Just email us and ask for your complimentary copy. The book is instantly downloadable. You get the ebook when you purchase it. Also, we provide a money-back guarantee. If you don’t information you need or want, no problem. Just email steve.nelson@stephenlnelson.com and request your refund. Hi Steve — Loved this post. Shared on my own blog and with my (tiny) email list. Looking forward to part 2!